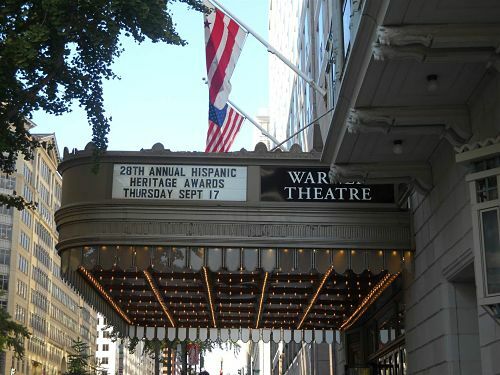 WASHINGTON, DC -- Hispanic Heritage Month kicked off in the nation's capital with a gala performance Thursday at the historic Warner Theater in downtown Washington hosted by iconic actress Rita Moreno. The Puerto Rico-born Moreno is one of just a handful of artists - and the only Hispanic - to receive all four major awards in the entertainment field in the United States: Oscar, Grammy, Emmy, Tony. "We are especially excited about this year because it is hosted by a past Hispanic Heritage award recipient, the incomparable Rita Moreno. It is meaningful and inspirational," said Hispanic Heritage Foundation President and CEO José Antonio Tijerino. Moreno was honored in 1990. Moreno emceed the 28th annual Hispanic Heritage Awards, which recognizes leading Latinos in a variety of fields, including education, the arts, STEM, healthcare and sports. 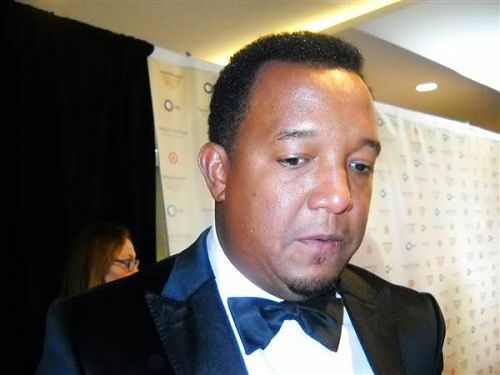 Major League Baseball Hall of Famer Pedro Martinez attends the 28th Annual Hispanic Heritage Awards in Washington, D.C., on Sept. 17. "I'm very happy and grateful to represent baseball, my country and Latin America, and in particular I want to show young people that yes, with hard work and effort you can get ahead," said Baseball Hall of Famer Pedro Martínez, who spent most of his career pitching for the Boston Red Sox and for four years between 2002-2006 held the major league record for the highest career winning percentage by a pitcher. Growing up in the Dominican Republic, Martínez didn't have enough money to buy baseballs so he improvised using oranges, and says that being inducted into the Major League Baseball Hall of Fame was a dream come true. "Getting to the Hall of Fame was the biggest thing that I could ever achieve in my career, to get to where Juan Marichal, Roberto Clemente and other Latinos who opened the doors for us." Dr. Vladimir Alvarado is a professor in petroleum engineering, geology and geophysics at the University of Wyoming and was recognized for his work in the sciences and for advocating for a greater number of Latinos and Latinas in STEM (Science, Technology, Engineering, Math) fields. 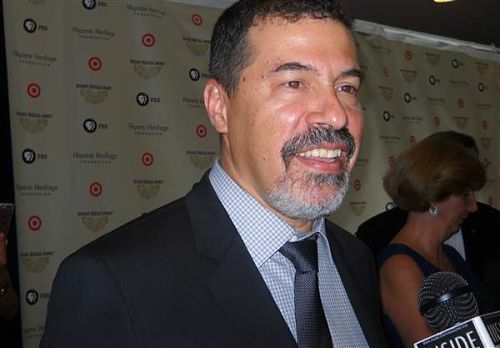 Dr. Vladimir Alvarado attends the 28th Annual Hispanic Heritage Awards in Washington, D.C., on Sept. 17. "This country needs to fill the gap in the STEM disciplines. We in the Latino community can be great contributors to the STEM disciplines. It's important that we help fill that gap because we need to keep that edge in the country, and we Latinos need to be contributors to those very demanding and needed areas." Presenter and actor JW Cortés, known for his roles in NBC's Blacklist and The Mysteries of Laura, and now currently on the primetime series Gotham, says, "It's an incredibly exciting time to be of Latino descent. I not only represent myself but I represent my family and everyone else out there who is of Latin origin who believes that they're destined to do so much more." Former honoree chef José Andrés says Hispanic Heritage month is a way to recognize the past and the present. "I became a citizen a year ago, and the speech that the immigration officer gave; he said we want you to celebrate America and honor the constitution and honor the flag, but we also want you to honor America bringing who you are with you," he recalled. "So it's great that the Latino community celebrates Hispanic Heritage Month. This is what I love about America, that we can be proud Americans and at the same time we have the freedom to bring who we are, so we are proud of where we are but also proud of where we come from." 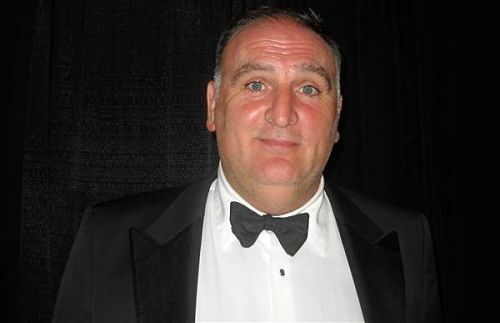 Chef Jose Andres attends the 28th Annual Hispanic Heritage Awards in Washington, D.C., on Sept. 17. María Gómez is founder of Mary's Center in Washington, D.C., which specializes in providing healthcare services for the area's growing Latino community. "This award is for the community because it is the community that has made me grow, that has made me who I am today and I owe the community so much for supporting me, for guiding me, for giving me hope. Many people in the community are suffering and I dedicate this award to them." Director Robert Rodríguez, who was recognized with a Vision award, told NBC News that the television network he started two years ago, El Rey, is doing real well and that's thanks to the support of the Latino community. "It's wonderful to be here. We're here to support each other. We're now in 40 million homes, with several shows on the air," he said, adding, "Our network it is 60-70 percent Latinos in front of and behind the cameras, compared to about two percent in Hollywood. Our model is working. The country has changed and the media has to reflect that change." 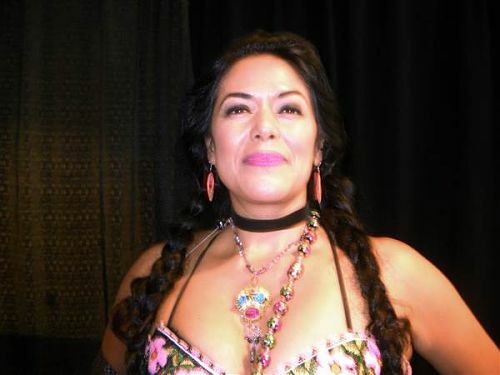 Lila Downs at the 28th Annual Hispanic Heritage Awards in Washington, D.C., on Sept. 17. The gala included performances from singer Lila Downs, who told NBC News that it's much more than just a night of festivities or even a month of Hispanic activities. "We have such cultural diversity and so many things to offer and a chance to unite. Hearing negative comments about our community, I think that makes us organize and come together a little more. I can definitely feel it coming. Those comments are very hurtful so hopefully something real positive comes out of it." 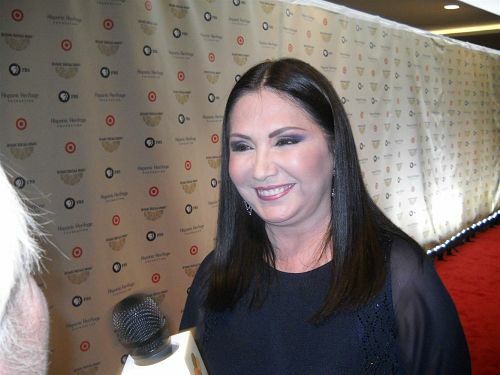 Singer Ana Gabriel attends the 28th Annual Hispanic Heritage Awards in Washington, D.C., on Sept. 17. Those sentiments were echoed by Mexican singer Ana Gabriel, who received a Legend award for her more than thirty years singing Latin pop, rock en español, and rancheras. "We have nothing to worry about. We are here to get ahead, and many of us have already done that. Those who haven't, well don't despair, you will. Latinos have a lot of hope in this country and we are worth gold." Other honorees this year included musician Arturo Sandoval, singer Becky G, and the White House Initiative on Educational Excellence for Hispanics. The Hispanic Heritage Awards were established in 1987 by President Ronald Reagan - who expanded celebrating Hispanic contributions to the United States from a week to a month. This year's gala celebration will air nationally on the public television network PBS on October 9th.